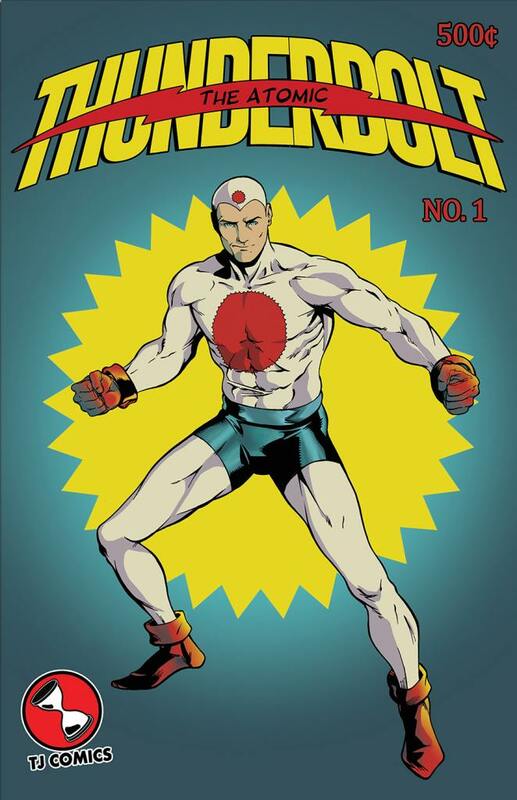 The Atomic Thunderbolt #1 available now! 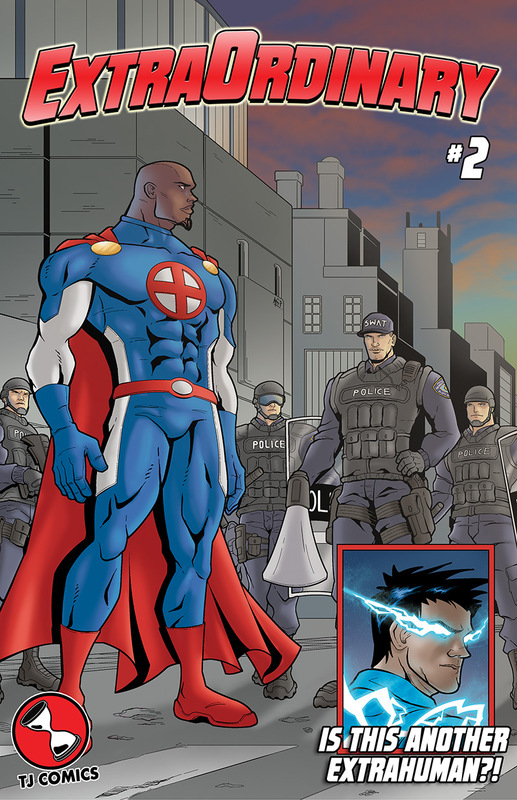 TJ Comics is proud to kick-off the second chapter of out superhero epic, ExtraOrdinary! 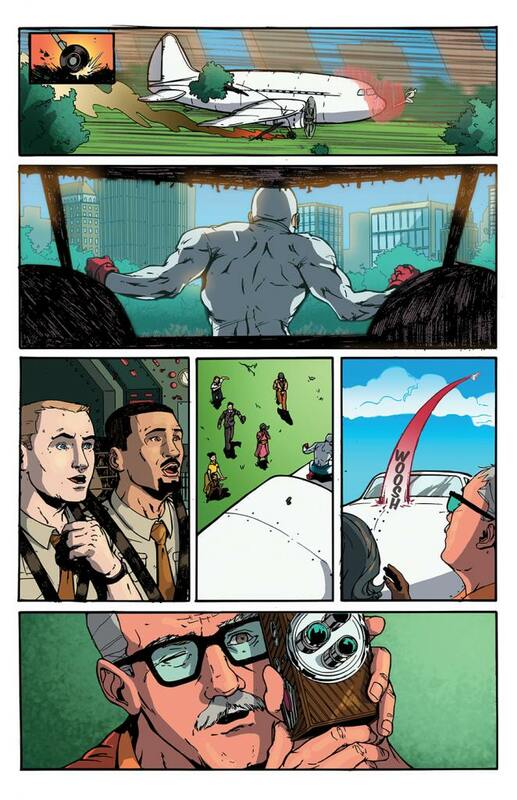 Line artist Agung Prabowo and colorist Manuel Dighero bring IPPY Award winning writer Kevin Powers’ script to life in a vibrant, modern-yet-classic new universe. 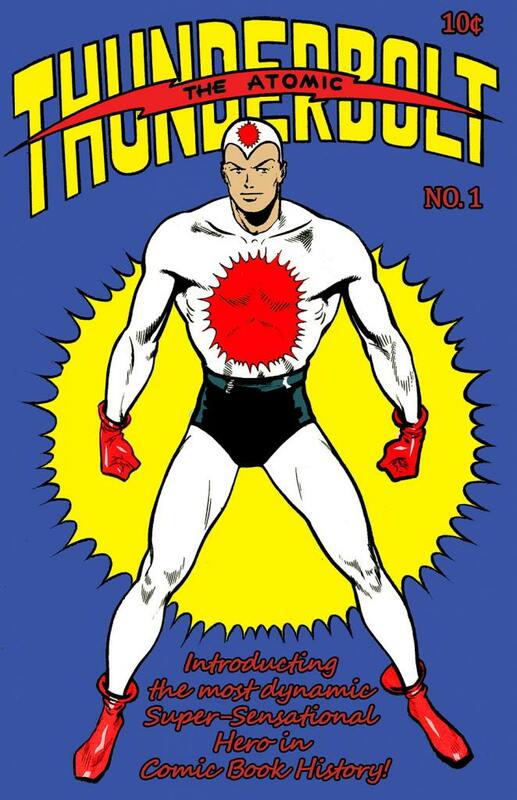 Thus far, readers have been introduced to The Challenger, the world’s first superhero. 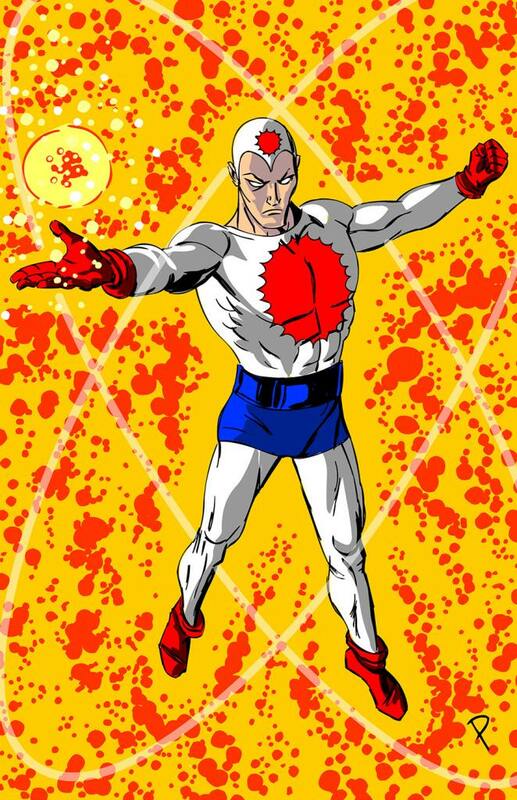 We’ve seen how he received his powers and his public debut against a mysterious monster known as Brute. The world isn’t sure how to react to The Challenger, he’s not exactly what they thought the world’s first superhero would be… but is he really the first? 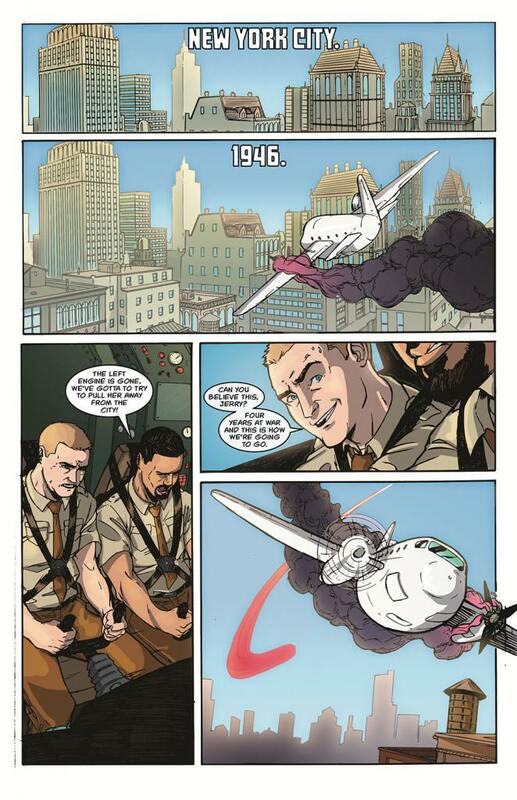 At the end of issue one, The President of The United States meets Director Ritter, the head honcho of a classified intelligence agency known as the Department of Supernatural Activities. Ritter reveals something to the President that serves as a jaw-dropping revelation that opens up a wide-range of questions! The second issue finds politicians questioning The Challenger’s motives just as the hero finds himself embroiled in some street-level issues with the police. Just as The Challenger is trying to prove he’s out to help everyone, another super-powered being emerges and The Challenger steps in, leading to another confrontation with the police! The emergence of a third super-powered being also reveals that there may be more being discovered all over the world! ExtraOrdinary is available to read at ExtraOrdinary-comic.com with updates every Tuesday and Thursday! You can help directly support the book by ordering print copies of our first two issues, ExtraOrdinary: Catalyst and ExtraOrdinary #1 at the TJ Comics Shop! Sign-up for the TJ Comics newsletter! Want to get all the latest updates from TJ Comics including previews, special discounts, announcements and more? It’s simple, just sign-up for our FREE e-mail newsletter. We won’t send one more than once every week or so, unless we have a really big announcement or two, but it’s the best way besides our Facebook page to keep up with everything related to what we’re up to! All you need is an e-mail. That’s it. Just sign up below! 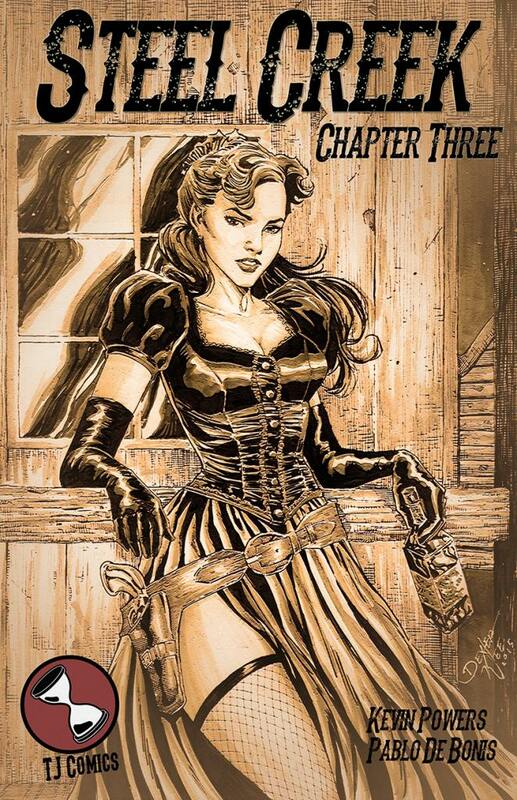 The Argonauts: Book One Available Now! 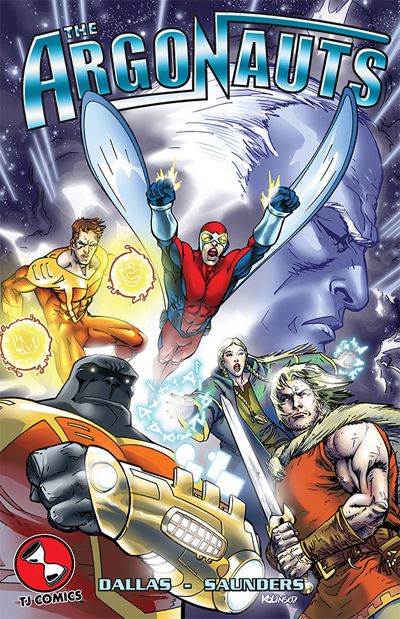 The Argonauts — co-created by writer and Harvey Award Nominee Keith Dallas and artist Robert Saunders—features eight principal characters from different time periods (specifically the Norwegian Middle Ages and the outer rim of the galaxy in the 27th century) who are brought together by an unknown force right before an evil alien race threatens to enslave humanity in modern day America. 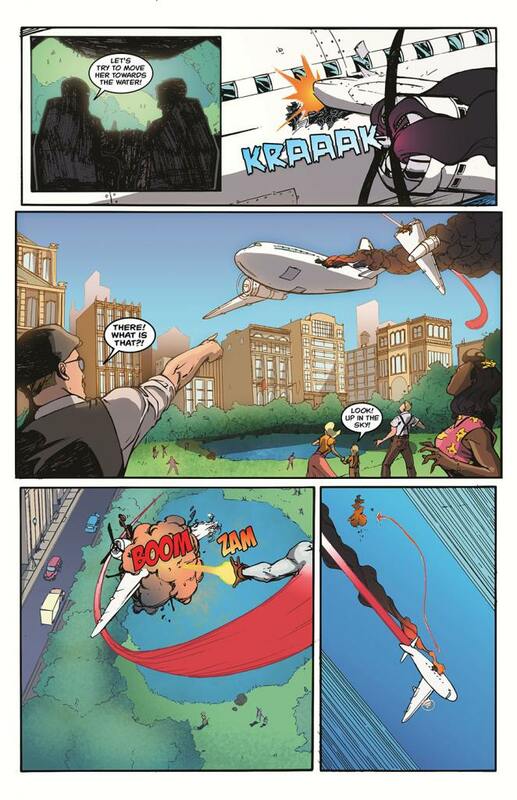 TJ Comics’ new superhero universe has finally arrived every Tuesday and Thursday at ExtraOrdinary-Comic.com! The premise of ExtraOrdinary is simple. We’re creating a universe of original heroes and revamping Golden Age icons to tell modern-yet-classic superhero tales. Part of that means injecting this fantastic universe with real-world social and political issues. That’s what really interests us, how would the world really react to superheroes? How would racism, economics, beliefs and the online echo chamber react? The purpose of this comic isn’t to make a political statement, but to create entertaining stories that appeal to the imagination and do make you think about common everyday issues. When the world’s first superhero – The Challenger – makes his debut, the public responds with adoration and apprehension. The hero’s appearance prompts a handful of people from around the globe to reveal their own powers, prompting the governments of the world to respond with great uncertainty. But is The Challenger really the world’s first superhero? His appearance will unearth one of the world’s darkest secrets. 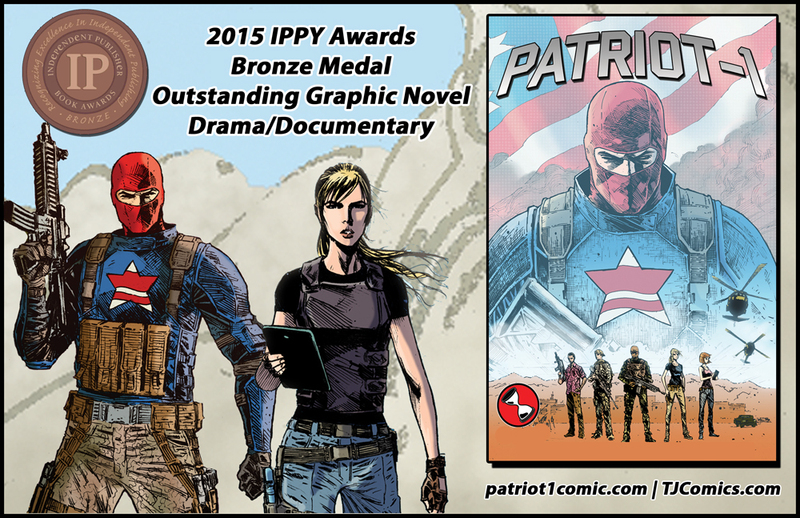 TJ Comics is proud to announce that the acclaimed original graphic novel “Patriot-1” has won an Independent Book Publisher Award (IPPY Award). The graphic novel written and created by Kevin Powers with art by Dexter Wee and Donna Gregory won the National Bronze Medal for Outstanding Graphic Novel – Drama/Documentary. The IPPY Awards is an annual book awards contest conducted to honor the year’s best independently published titles. The Independent Publisher Book Award is considered one of the highest honors for books published by independent publishers. Successfully funded on Kickstarter in August 2014, “Patriot-1” tells the story of a Delta Force operator who is the lone survivor of an attack in Afghanistan. Upon escaping captivity, he finds himself embroiled in a conspiracy that results in a team from the CIA’s Special Activities Division seeking his help to unravel the mystery of “Operation Quisling.” As the war in Afghanistan has all but ended, the conspiracy reveals a new threat, one that prompts the Delta Force operator to make a unique statement and reaffirming what he fights for in “super-heroic” fashion. The limited “Kickstarter Edition” is still available and the “Spec Ops Edition” is available on June 3, 2015 at comic shops everywhere. If you’d like to order the book, tell your retailer: Diamond order code APR151740. The “Spec Ops Edition” will also be available on Amazon and digital platforms. 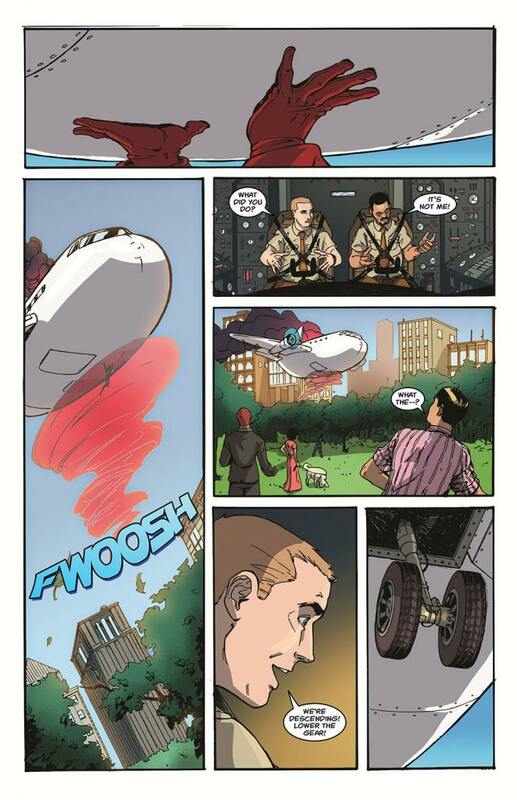 For more information on “Patriot-1” please visit patriot1comic.com.